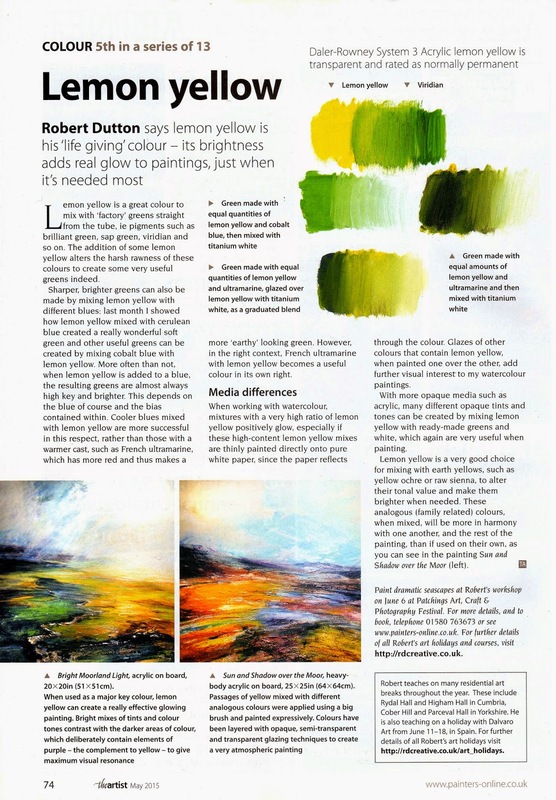 Great to see my 5th article on colour choices for you printed in this months 'The Artist' magazine. We'll be putting the colour into action at 'Patchings' Art, Craft and Photography Festival this year in our seascape workshops on 6 June for sure! Remember, yellow and blue make green and there is plenty of green in the sea. That's just for starters! 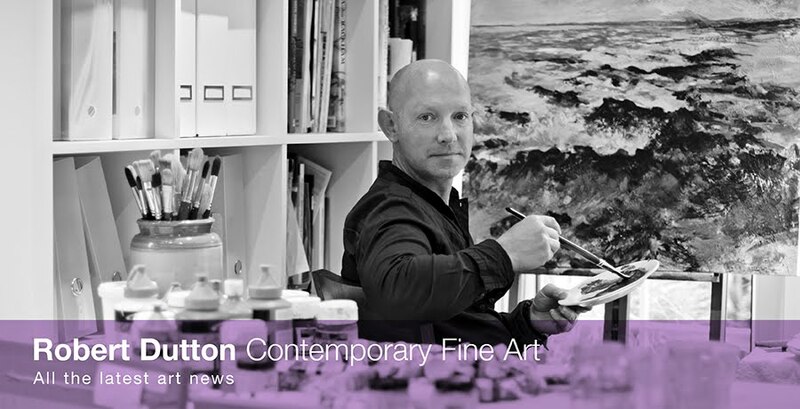 Looking forward to showing you lots of effective ways to show you the 'life giving' properties of the colour to steer you away from flat and dull paintings.